How many times have you heard people exclaim, “I really don’t understand how anyone would let these always listening speakers into their homes!”? Next time you hear someone say that, just share with them the graphic below. 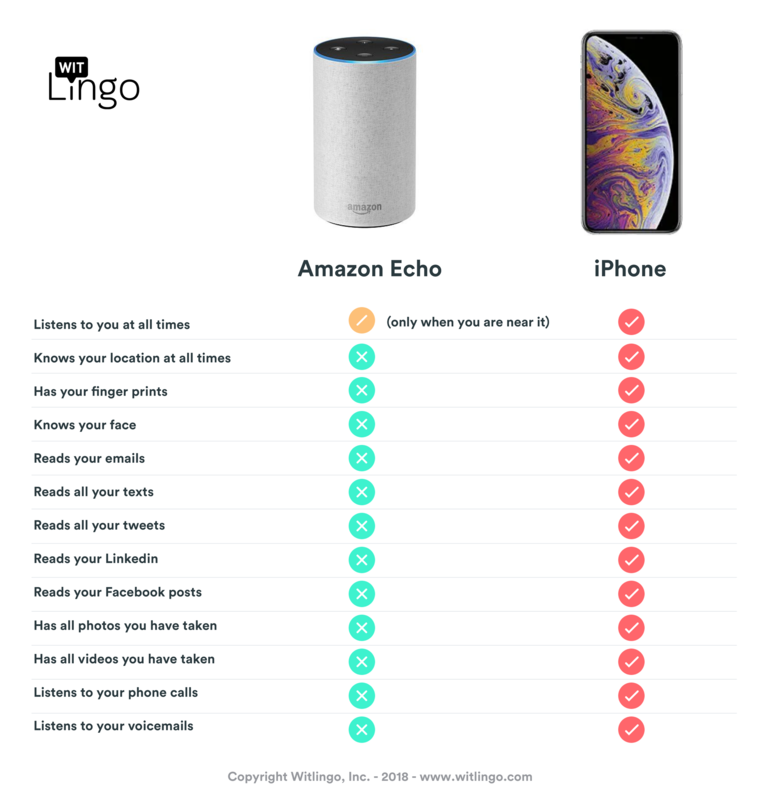 If they have an iPhone or any other type of smart phone, they need to be aware that what they are concerned about with smart speakers is a fraction of what they should be concerned about compared to smart phones. This is not to say that the privacy concerns are not valid, but rather, to point out that we should have a real, coherent conversation about privacy rather than toss around uninformed reactionary quips.